RESPONSIBLE ORGANIZATION OF GAMBLING - Casino Inside - The gambling industry magazine! (v) the implementation of a continuous updating process regarding the regulations in this industry for the purpose of decreasing and limiting any potential weaknesses in this economic sector in respect of potential criminal activities, as well as decreasing the exposure to the risk of money laundering and terrorist financing, tax fraud, cyber crime, as well as the prevention of public order, national security and public health related crimes. (vi) the development and implementation of a player protection program against gambling addiction. While the aforementioned principles do not define the responsible gambling notion expressly, an analysis of the laws in force may lead us to conclude that the organizers of games of chance should constantly seek to balance their economic interests and the protection of vulnerable individuals. The former of the above principles is concerning the organization and operation of games of chance in a way that ensures the protection of minors and prevents their access to these activities. In fact, to prevent the individuals who have yet to turn 18 from participating in games of chance, the lawmaker provided under Article 7 para. (1) of the Government Emergency Ordinance (GEO) no. 77/2009 that minors may not become participants in games of chance and their access to the designated locations, the gambling means or the gambling activity are forbidden. However, to avoid damaging the minors by these activities, the organizers of games of chance should promote their activity in a socially responsible fashion to guarantee that the games of chance are still an adult-only source of recreational and entertaining activities. The promotion of the games of chance subject to the limits required under the laws in force is aimed to secure protection of the minors as well as the vulnerable individuals who are prone to developing a case of addiction to these activities. According to the provisions of Article 6 of the Methodological Rules, the promotion of national gambling activities shall be compliant with the principles regarding the protection of minors and the responsible participation in the games of chance. The promotion material shall not be placed at the premises or on the enclosures surrounding the educational institutions, the social and cultural or religious establishments, and shall visibly mention the prohibition of minors’ participation in games of chance, signaled by visual symbols, along with the series and number of the license for the organization of games of chance as well as the logo of the Romanian National Gambling Office (ONJN). The case law of the Court of Justice established the basic rules for the commercial communications regarding the gambling services. Thus, the promotion of these services may not aim to encourage consumers’ natural propensity to gamble by stimulating their active participation in it, such as by trivialising gambling or by increasing the attractiveness of gambling by means of enticing advertising messages holding out the prospect of major winnings (Case C-347/09 Dickinger and Omer). In this respect, the Romanian lawmaker aligned the national laws with the European trends by introducing para. 4 under Article 7 of the Ordinance, which prohibits the display outside the gambling locations of the amounts or goods granted as bonuses, promotions or jackpots, real or simulated. In all these cases, the organizers of games of chance may use individual means with a view to preventing gambling addiction. In the case of remote gambling, the relevant participants have a possibility to rule themselves out, temporarily or permanently. Thus, according to Article 132 of the Methodological Rules, the organizer of games of chance should provide any player with a facility that would enable the latter to request an exclusion, temporary or permanent, from the game or an discontinuance of their access thereto for a predetermined period of up to 7 days. If a player ruled himself/herself out of a game of the organizer of remote games of chance, the latter must inform the player about the option of counseling and treatment of pathological gambling in a treatment center. Also, the provisions of Article 132 expressly prohibit the organizers of remote games of chance from sending advertising messages to the players who ruled themselves out, temporarily or permanently, or those who requested the interruption of their access to the games of chance. Furthermore, as part of the gambling activity, the players may establish the limits of their daily, weekly and monthly deposits. (d) a link to at least one organization which provides information and assistance for behavioral disorders associated to gambling. Regarding the traditional games of chance, the personnel at the agencies should be trained about the issues outlining the responsible gambling notion so that, upon identifying pathological addiction patterns in consumers, to be able to provide appropriate guidance. 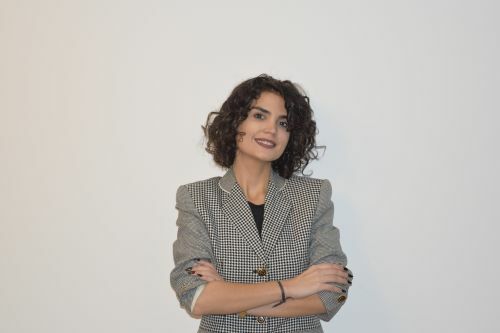 The principle of supervision of the operations carried out by the organizers of games of chance is observed by interconnecting the gambling means in the central IT system which timely sends the Romanian National Gambling Office the information about the activity performed. Furthermore, the assurance of integrity and transparency of the operations carried out by the organizers of games of chance is made by reporting to the competent authority the financial results of the organizer, the evidence of tax statements registration with the competent bodies and the evidence attesting to the payment of the charges. Regarding the prevention and fighting of criminal activities that may be perpetrated through these types of games of chance, the operators may adopt internally measures of verification and registration of transactions, know-your-customer measures, reporting the transactions in excess of EUR 15,000 to the competent authorities. One item of interest in the foregoing principles lies in the development and implementation of a player protection program against gambling addiction. 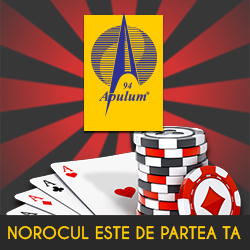 Considering gambling in Romania is an activity permitted and regulated and the right to organize it is granted by the state to those which/who meet the requirements under the laws in force, the authorities should show greater interest in the protection of players against gambling addiction. According to Article 10 para. (4) of the Ordinance, an activity funded entirely from own revenue will be set up and attached to the O.N.J.N. for promoting observance of the principles and measures relating to socially responsible games of chance. The previous legislation, too, provided for the incorporation of a foundation having an objective identical to the one of the activity to be set up and attached to O.N.J.N. Unfortunately, such foundation has yet to be incorporated, but given the constant development of these activities, we consider that the competent authorities will speed up the impending implementation of effective programs to protect the players against gambling addiction.